7oz deco Julep bottle that is similar to the ones used by the company. 12oz Pop Kola bottle dated 1941. 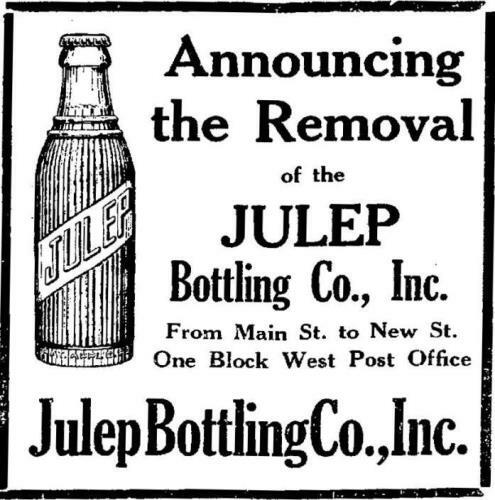 This bottle raised a question that is that the Julep Bottling Company is no longer existent after August 30, 1940; however, here is a Pop Kola bottle with their company name on the back. 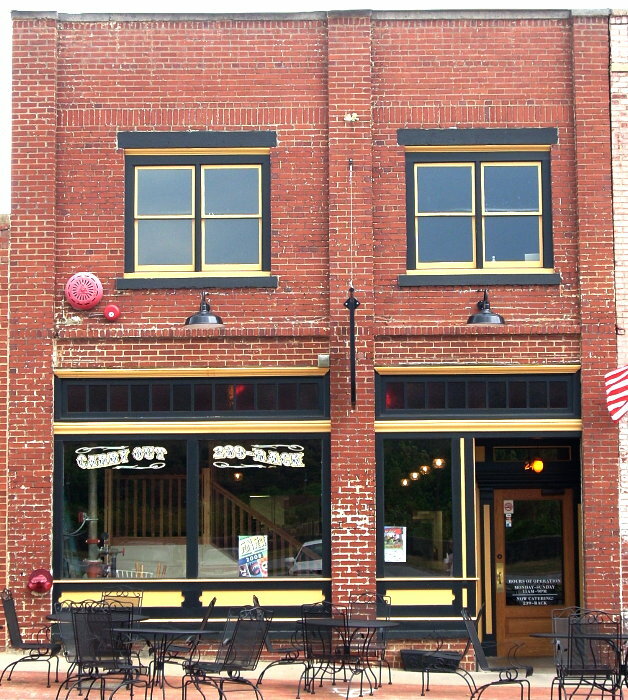 Most likely the glass company didn’t change the name when they made this batch of bottles for the Holston Bottling Company who had taken over Julep Bottling Company’s franchise for the brand. 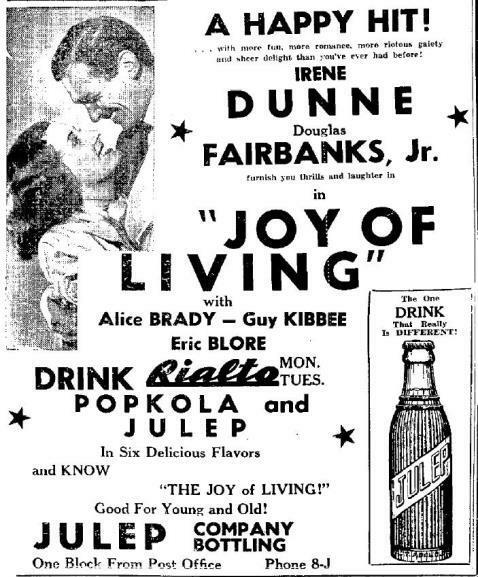 A September 18, 1938 ad promoting the Douglas Fairbanks Jr. film “Joy of Living” at the Rialto Theater, where of course you can drink Pop Kola and “Six Delicious Flavors” of Julep.